Introducing the all-new 2018 Jeep Wrangler with unmatched capability, more open-air options, revitalized style and plenty of enhanced technology and safety features. This new model is built on a Command-Trac and Rock-Trac 4×4 system with next-generation Dana axles, a new Selec-trac full-time two-speed transfer case Tru-Lock electric front-and rear-axle lockers, Trac-Lok limited-slip differential and rides on 17 or 33-inch off-road tires. Two highly efficient powertrain choices are available either a new 2.0-liter turbocharged inline four-cylinder engine with eTorque technology or a 3.6-liter Pentastar V-6 engine with Engine Stop-Start (ESS). 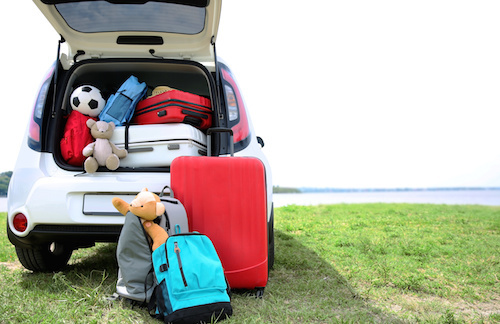 Transmission choices include either a new eight-speed automatic or six speed manual transmission. 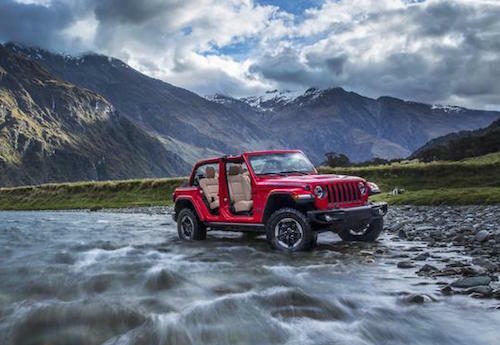 The exterior design maintains the iconic Wrangler style with recognizable keystone-shaped seven-slot grille, round headlamps and square tail lamps. Its new styling is rugged and bold with improved aerodynamics, a lowered beltline and larger windows. Its lightweight, high-strength aluminum doors, hinges, hood, fenders windshield frame and magnesium swing gate help reduce weight for better fuel economy. New 2018 Wrangler models are available with dozens of different door, windshield and top combinations including hardtops, soft tops and an easy Sky One-Touch powertop. 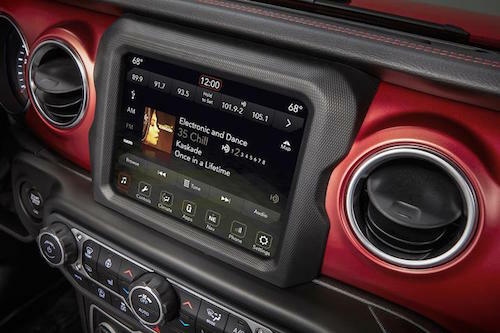 All new models are equipped with a fourth-generation Uconnect system with Apple CarPlay, Android Auto and a choice of pinch-and-zoom touchscreens. Additional features include more than 75 available advanced safety and security options. The 2018 Jeep Wrangler is available as a 2-door or 4-door model with Sport, Sport S and Rubicon trim configurations. Wrangler 4-door models have an additional Sahara trim option. Our Jeep Dealership near Atlanta now has a selection of new 2018 Jeep Wrangler models to choose from. We invite you to stop by, explore our new Jeep inventory and take a test drive soon.